PARTNER NEWS: Drivers will soon be able to use their smartphone or connected watch to lock or unlock their car, start it, control applications and remotely access useful vehicle information using Bluetooth technology and automotive products supplier Valeo’s new virtual car key system. Valeo InBlue leverages digital security giant Gemalto’s Allynis Trusted Services Hub (TSH) solution for secure Over-The-Air (OTA) deployment and lifecycle management of applications and sensitive credentials for vehicles. “This innovation is based on an on-board equipment, connected to a smartphone development kit (SDK) hosting a secured virtual car key provided by the Valeo cloud-based platform,” Gemalto says. “With Valeo InBlue, authorised users can remotely register new connected devices for use with a vehicle and receive vehicle information such as car location and fuel level, enabling easy secured car sharing and simplified rentals. The service is compatible with Android or iOS smartphones on any mobile network, making the service “deployable on any market”. Valeo, one of the world’s leading automotive suppliers, has partnered with Gemalto, the world leader in digital security, to ensure the security of its virtual car key system called Valeo InBlue®. With Valeo InBlue®, drivers can use their smartphone or connected watch to lock, unlock and start their car, control applications and remotely access useful vehicle data using Bluetooth®. This innovation is based on an on-board equipment, connected to a Smartphone Development Kit (SDK) hosting a secured virtual car key provided by the Valeo cloud-based platform. Valeo InBlue® leverages the Gemalto Allynis Trusted Services Hub (TSH) solution providing secure Over-The-Air (OTA) deployment and lifecycle management of applications and sensitive credentials for vehicles. Thanks to Gemalto security solutions, virtual car keys are securely sent to smartphones and stored with a high level of security that is comparable with current mobile payment solutions being deployed with banks around the world. Valeo InBlue® is compatible with Android or iOS based smartphones on any mobile network. This easy to implement solution makes the technology deployable on any market. With Valeo InBlue®, authorized users can remotely register new connected devices for use with a vehicle and receive vehicle information such as car location and fuel level, enabling easy secured car sharing and simplified rentals. Valeo is an automotive supplier, partner to all automakers worldwide. As a technology company, Valeo proposes innovative products and systems that contribute to the reduction of CO2 emissions and to the development of intuitive driving. In 2015, the Group generated sales of €14.5bn (US$16.17bn) and invested over 10% of its original equipment sales in research and development. Valeo has 148 plants, 19 research centers, 35 development centers and 15 distribution platforms, and employs 88,800 people in 32 countries worldwide. 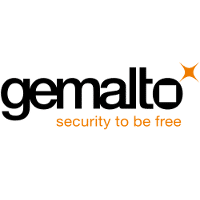 Gemalto is the global leader in digital security, with 2015 annual revenues of €3.1 bn (US$3.46bn) and customers in over 180 countries. We bring trust to an increasingly connected world.